FIDELITAS is beautifully preserved explorer vessel, built for sailing in all weather conditions, be it Mediterranean cruising or as far as the North Pole! She can cross the Atlantic, under power, without having to stop to re-fuel. 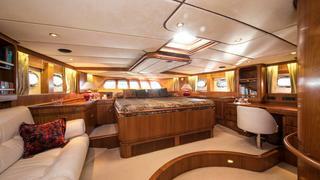 Being of a steel hull, you are re-assured of this yacht looking after you and keeping you safe. She is hull number 2 of the PASSERARTOUT series, where, in total, only 3 were built in Holland. 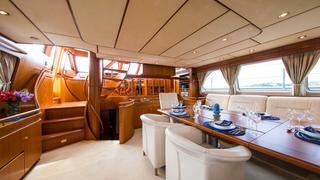 She has only had two owners, who have lovingly kept up with all maintenance and up-grades works. 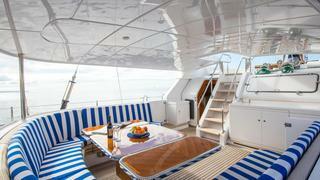 Uniquely, FIDELITAS also has a flybridge, providing a further relaxing area for guests, whilst the yacht is either in the bay or out sailing. 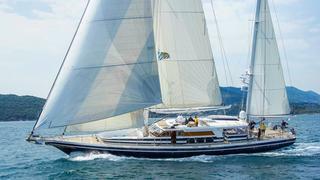 She is a two-deck sailing yacht with Fly bridge and offers ample indoor and outside space.